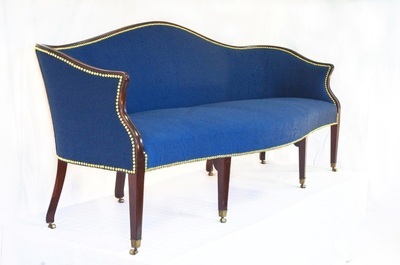 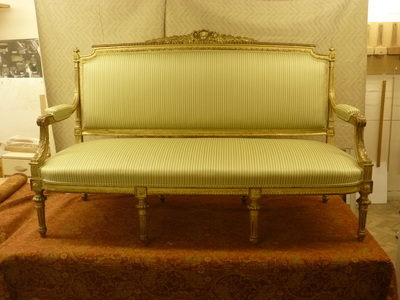 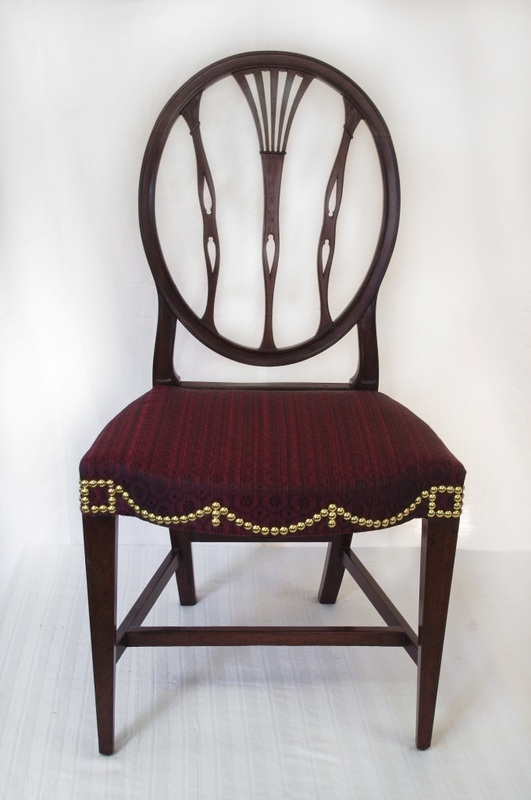 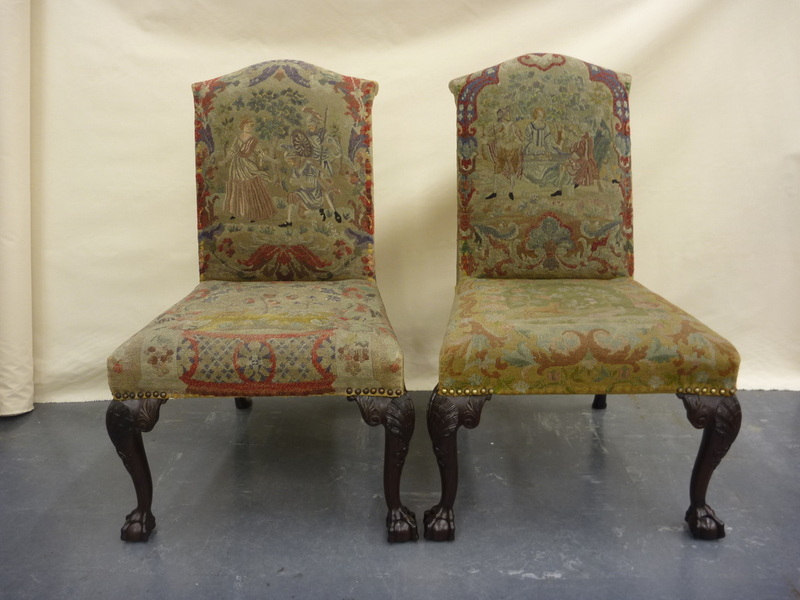 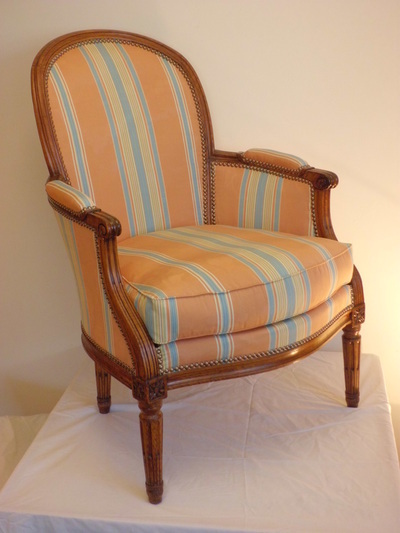 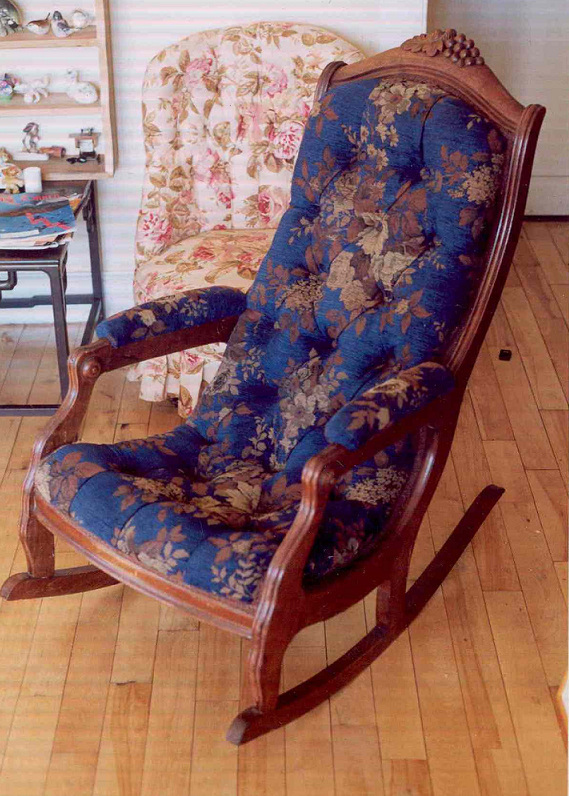 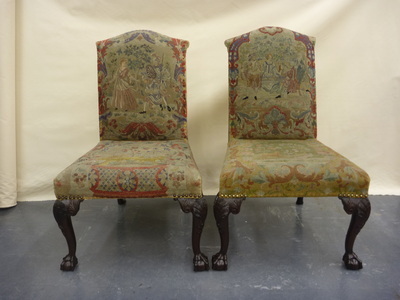 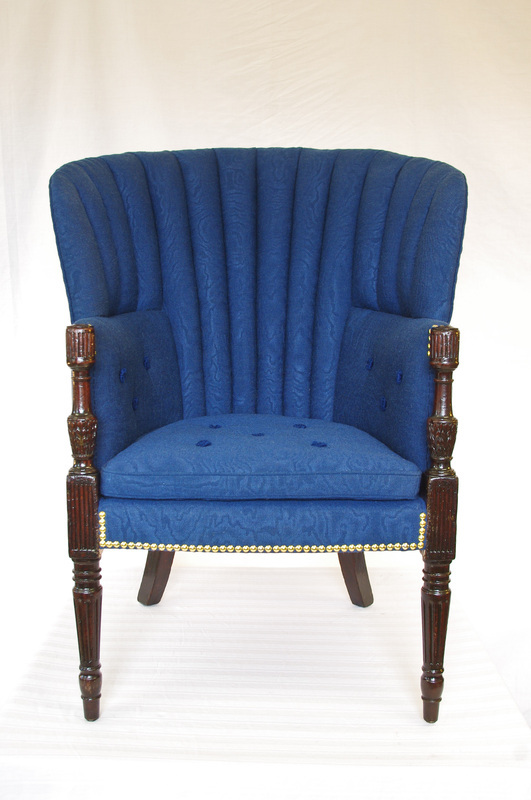 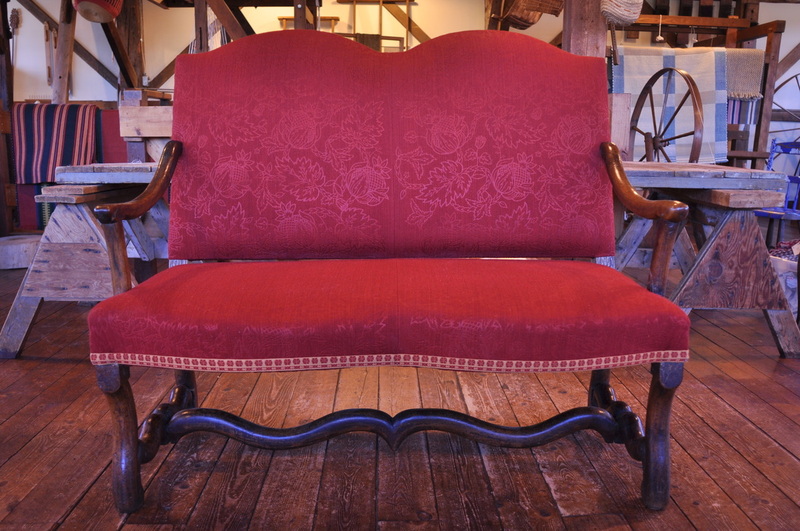 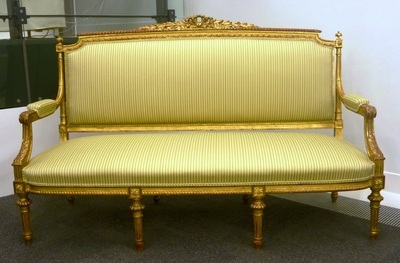 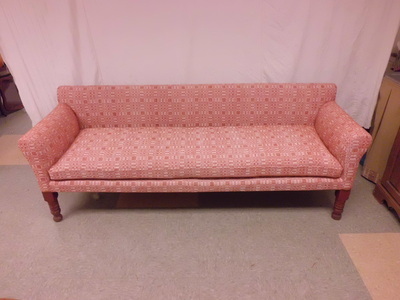 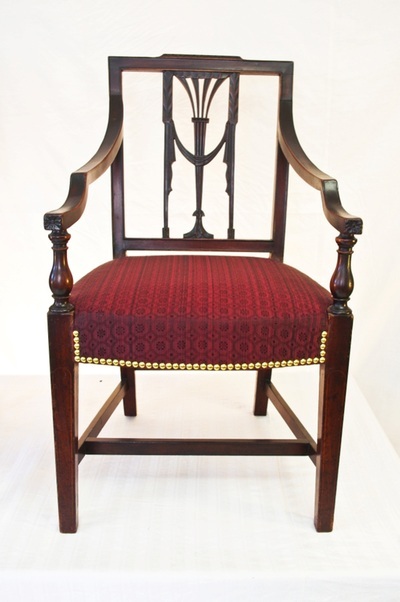 19th c. reproduction of French settee, with gilt show wood. 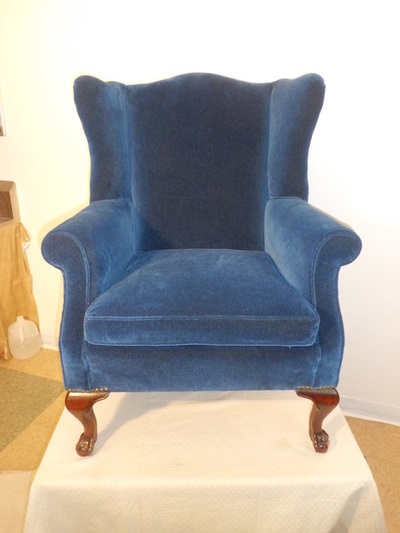 Click on photo to see process. 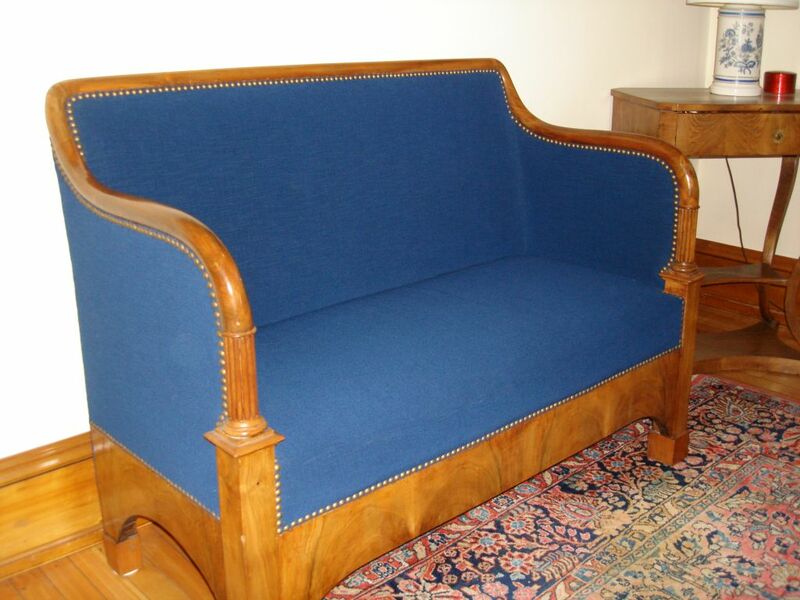 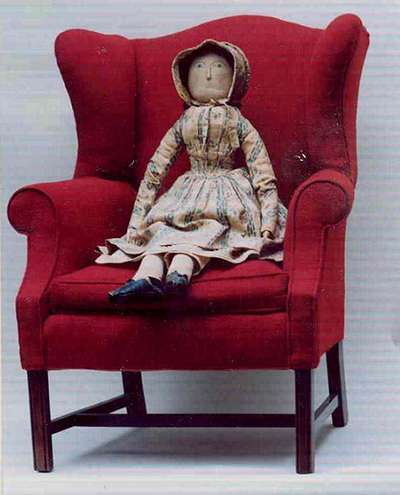 Livingroom set of 18th c. Virginia-made mahogany furniture, covered with indigo dyed wool moreen fabric, hand-embossed with moire pattern. 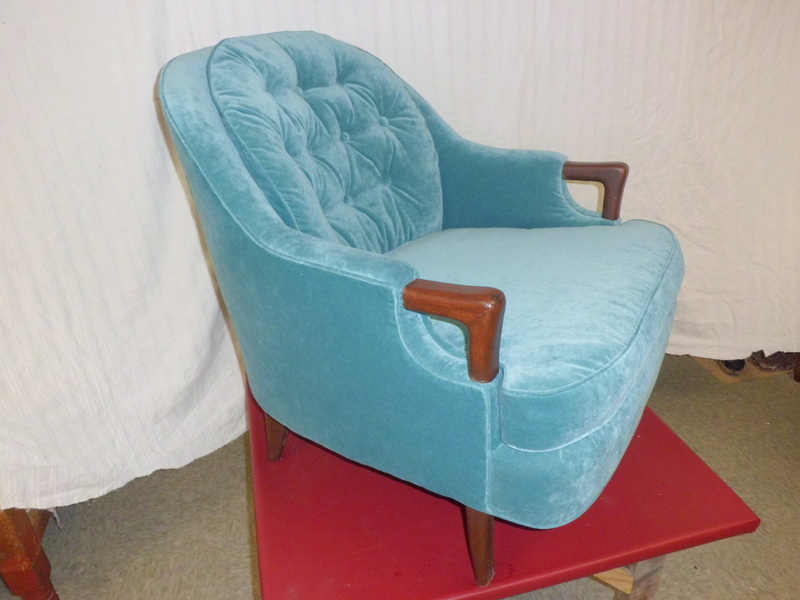 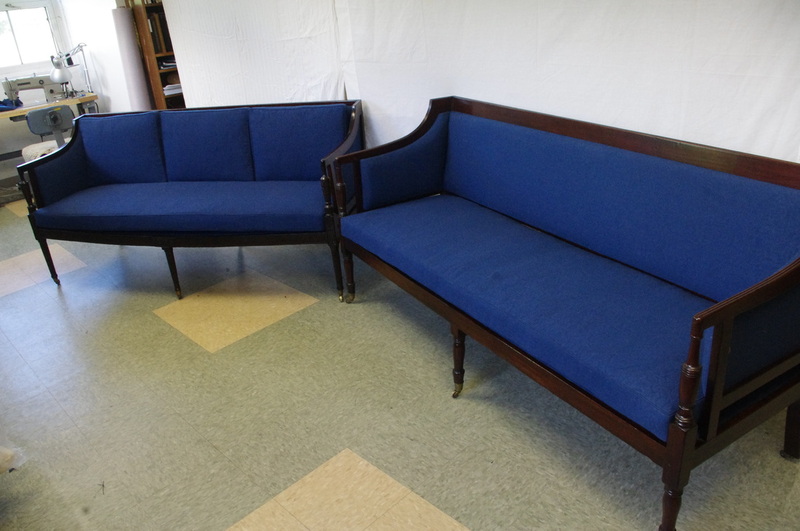 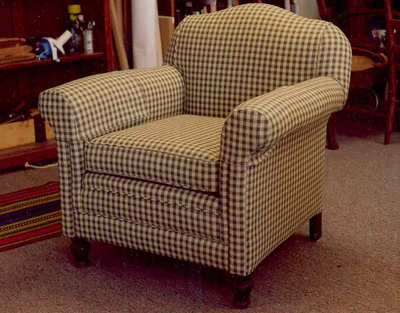 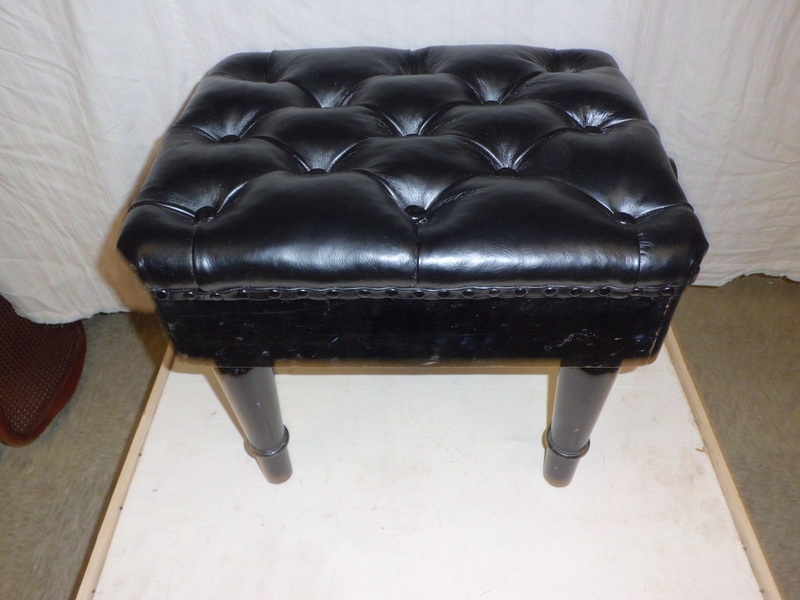 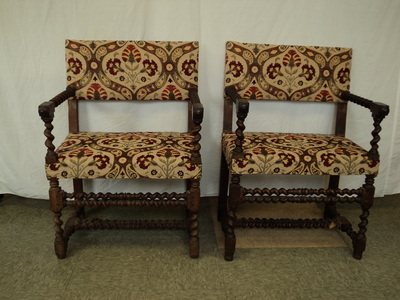 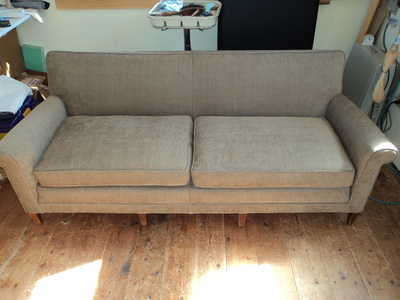 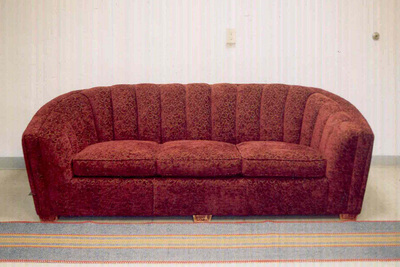 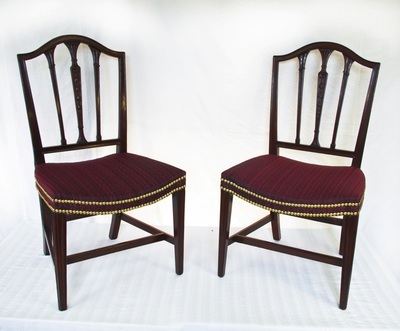 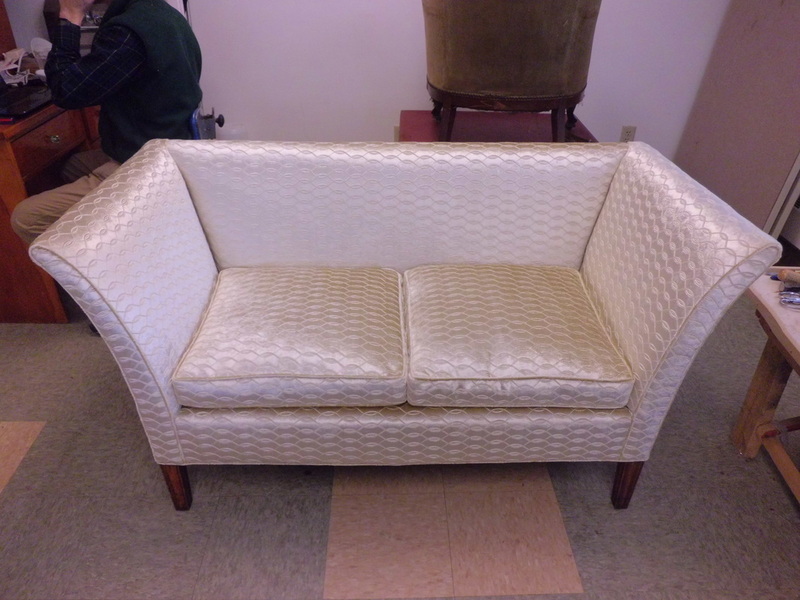 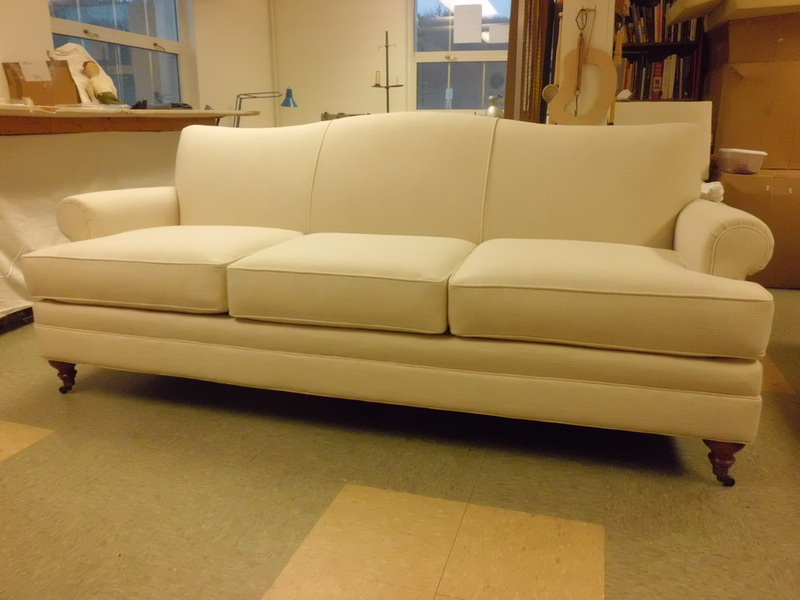 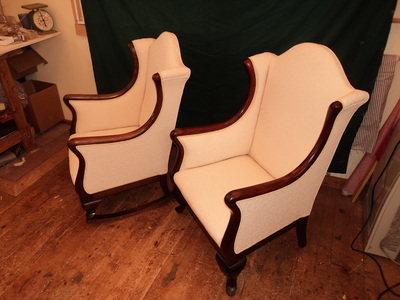 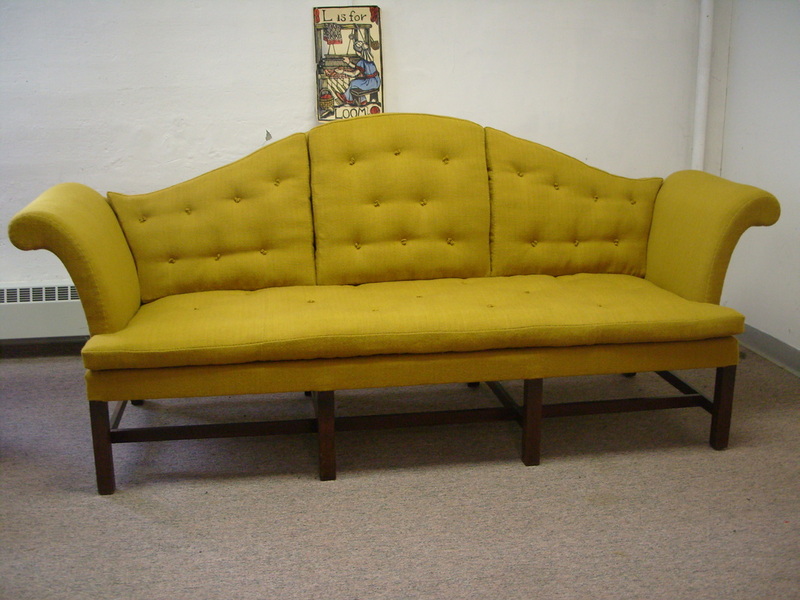 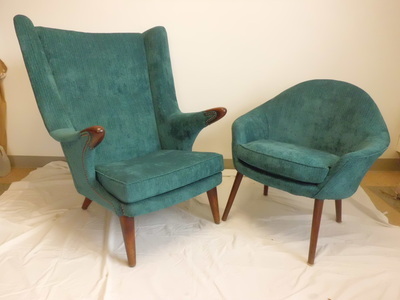 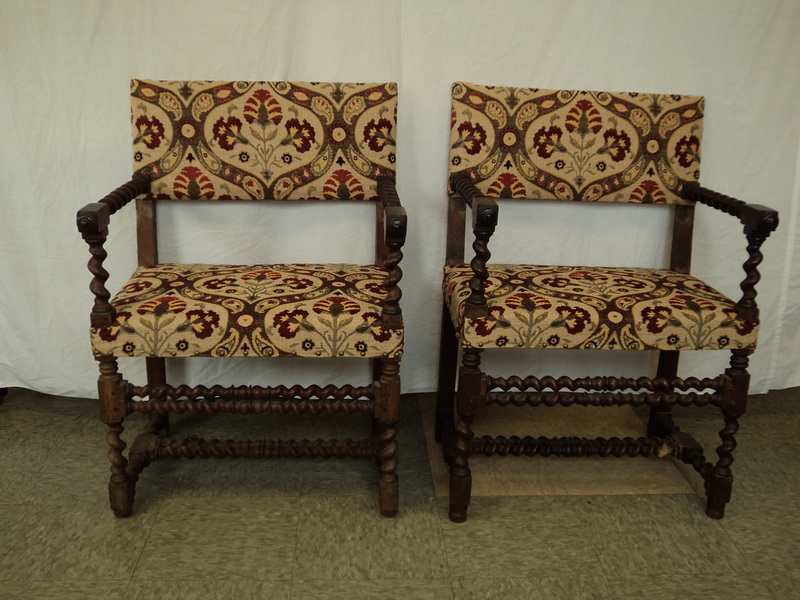 A variety of forms recently we have recently upholstered, from Danish modern to 16th c.